Whatever was going above the sofa needed to be different. A bit of relief. I wanted to hang a mirror. It's true what we say in the decorating mags - mirrors are quite amazing at expanding tiny spaces and this space is super teeny. I held a mirror in place and only then noticed that once hung it would reflect the kitchen -specifically the side view of open shelves and the side the the fridge. UGH. Never hang a mirror if it isn't going to reflect something pretty. And hence Plan B came into effect. I taped off the trapezoid shape on a piece of bristol board and painted it using leftover paint from the entryway. Boom. Done. It's shameful, I know. But grant me this: I chose this particular form because it's inspired by an Ellsworth Kelly piece called "For Leo". My Dad's name is Leo. He is was born and raised on Prince Edward Island. I call mine "For Dad". 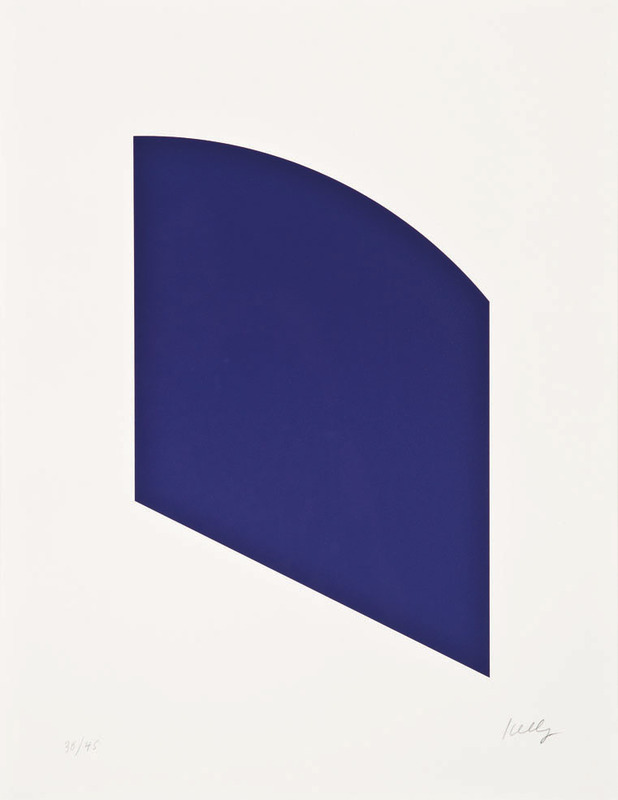 This one is called "Purple", a limited edition lithograph that sold at auction in Dec. 2012 for $4,688. 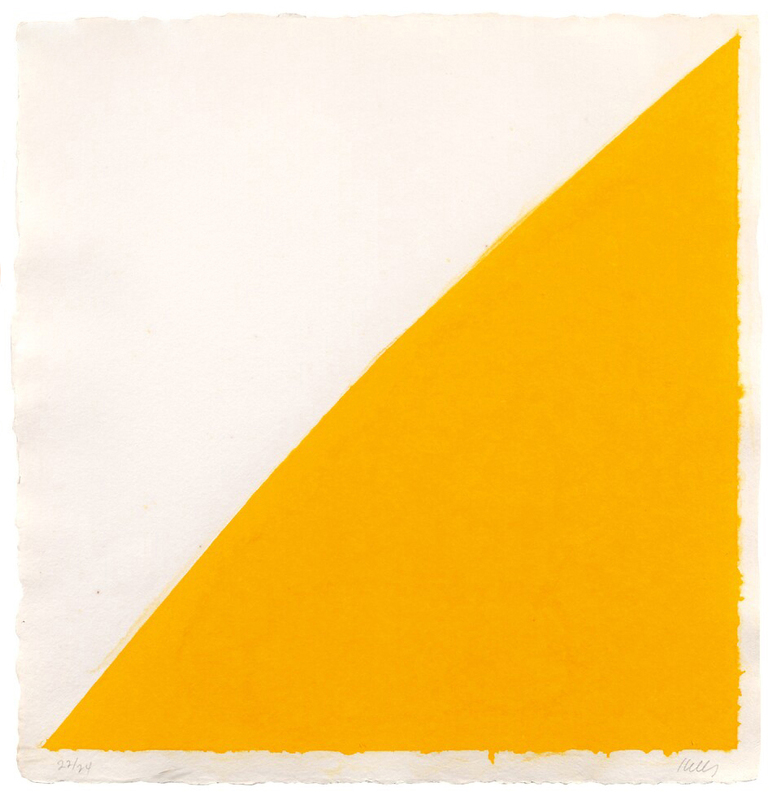 This one is called Colored Paper Image XIV (Yellow Curve), 1976. It's available at the Susan Sheehan Gallery in NYC for $30,000. I spied it on 1stdibs this morning. I am moved by this stuff. I can't explain it. Art is like that I guess. 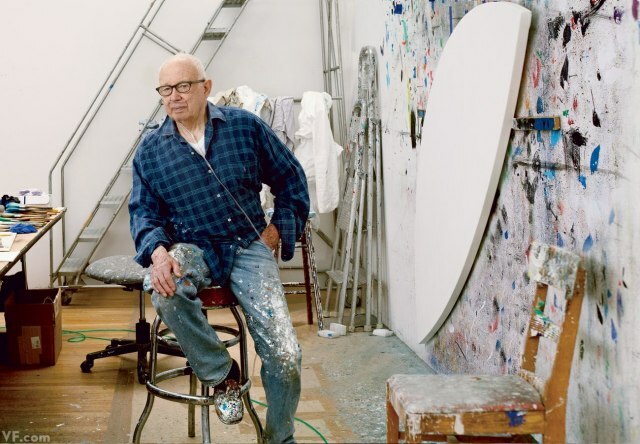 Here he is in his Spencertown, NY studio. Photo by Annie Leibovitz (!) for this piece in Vanity Fair. Would that we could all be so cool at 89. PS. I'd give my eye teeth for that paint-splattered chair in the foreground!